Oh, that's so beautiful and wonderful! Great stories! Loved to read about postcrossers' love! I would like to thank you all postcrossing users that contributed to Cátia and Nuno's surprise. They were delighted about it. Thank you again for your kindness. This is one of the many reasons that make this project amazing and special. So sweet stories. I wish all these couples happy and healthy life! What a lovely idea. I sent a postcard to a couple getting married somewhere on the continent last year. In return, I got a postcard from the bride & grooms relations in London. Oooh I think I've got something in my eye, too! Lovely stories, wishing the newlyweds all the very best for their future! 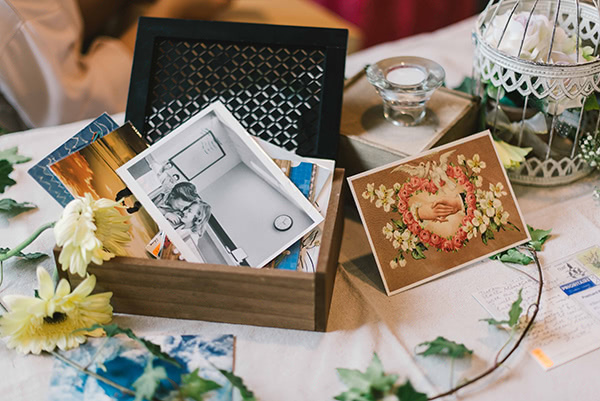 In Switzerland, there are several wedding games with postcards, for exemple letting the guests write their wishes on postcards and then send them away on balloons, hoping the finder will return to the couple. Another game was having the guests write their wishes plus a particular invitation of their choice (like dinner, tea or coffee) and the bride's sister would send them to the couple during the following year, with the invitation to be redeemed. A new one I encountered this year was picking a card with an indicated calender week and having to send it to the couple in this particular week next year, with a personal message of course. My sister is planning on getting married next year, too, and I'm already thinking of doing something with postcards for her! Wish this on my wedding day. It doesn't get any nicer than that! Loved the stories and I'm sending good wishes and happiness the the couples. So sweet! Congratulations and I hope your marriage is very happy! A heart-warming story. Wishing the couples a long and happy life together. I was excited to see the picture of Albert and Cassey, as I was fortunate to send them a card as they approached their wedding. Congratulations, lovely couple! So many wonderful ideas and sharing of love! How wonderful! Isn't this what Postcrossing is all about -- brightening the day of someone else? Blessings to all the happy couples, their loved ones and Postcrossers everywhere! These are so beautiful love stories and postcrossers made it even more eventful. Congratulations to the newly weds and wish you more love. What wonderful stories! All my best wishes to these couples 👫. I wish I were getting married again, as I would love to do something like that :). 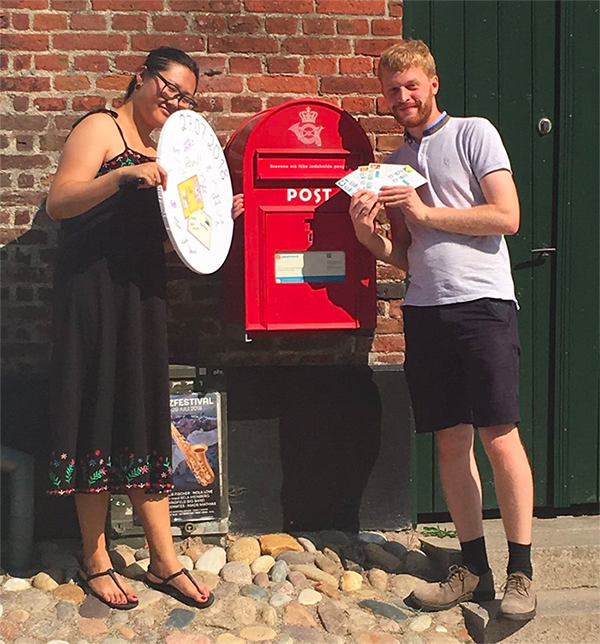 The German Postcrossing community also joined in surprises for newly-weds, such as a photo album with a bride and groom pictured in different places of the world or a mother who collected cards for her daughter and her son-in-law. Perhaps you came across that story in the German-speaking group on Facebook, Ana. Congratulations to The Newly Weds!! These very sweet stories are just wonderful ! Wishing you All the Best In The World ! @Teacherette: I did not, but I would love to hear it! 😍 Please send us the link when you have a bit of time. I just love this kind of love stories, especially the one of Zijie and Karsten. Congratulations to all couples! Many postcrossers showed kindness by sending postcards for my daughter's wedding back in February this year. She and my son-in-law said it was one of their favorite gifts. I was touched by the generosity and thoughtfulness of my "postcard family". I love a love story! Thanks for sharing all of these postcard love tales. I have come across a few requests for wedding wishes and I am always happy to oblige. Best of luck to all of the couples. Another wonderful blog story. We need this kind of Sunshine in a world which seems full of sadness. Thank you to the couples for sharing their weddings. I also asked postcrossing friends to send me postcards for me to use in my wedding decor. It was beautiful! I got married on October 13 of that year. I'm planning my wedding for this coming May, and just changed my profile to request cards with wedding images / advice on a happy marriage and that sort of thing :) ... can't wait to put a display together! Oh! Is so sweet. Congratulations to The Newly Weds and others who planning to getting marriage soon. I knew the postcrossing community is full of love and joy, and this is another proof of that! I was at a German wedding three years ago and we had to pick a postcard with an indicated calender week on it. Then we had to send it to the couple in this particular week the next year, with a personal message. 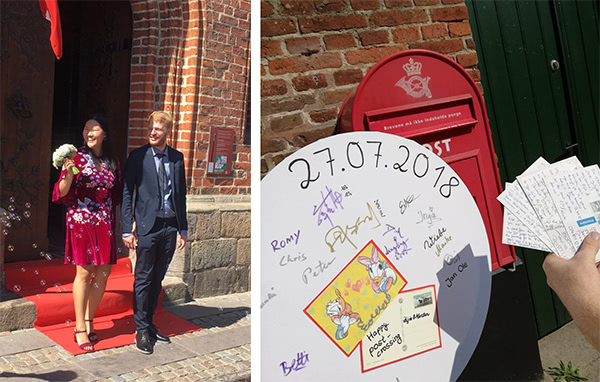 The bride became a postcrosser in the next year after I recommended it to her, because she loved receiving the cards, but also wanted to send cards to people! This is so lovely! My husband and I wed last year and did a travel theme for our wedding. Instead of a guest book, I scoured flea markets and antique stores and bought a lot of old and vintage postcards for our guests to write their well wishes on and leave them in an old, beat up leather suitcase. One of our friends kept a bunch of them and after a year later, there are a few that pop up in our mailbox! Thank you for this post. It has given me ideas on what gifts to send to my soon-to-be married friends next year. If I would get married now, postcrossing would surely play a part in my wedding.. 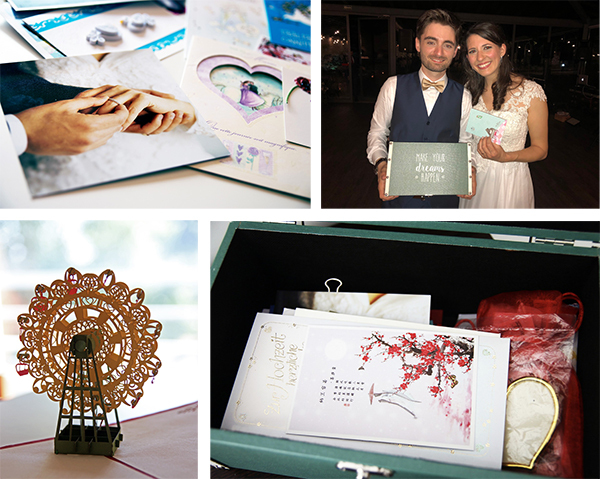 Thanks to the Postcrossing community who share in our wedding :) Your cards and wishes will always be remembered. @cspt Thanks for your cards - we feel so blessed! Wow, what lovely stories... Congratulations to all the couples..